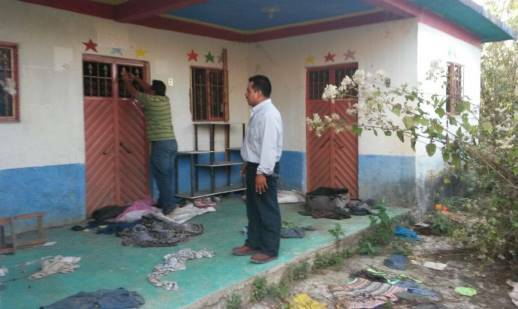 It’s been almost two months since 12 evangelical Christian families – 49 people* in all – were allowed to return to their village in the southern state of Chiapas, Mexico and they say all is “completely calm”. But the relative calm the families from the village of Buenavista Bawitz are rejoicing in, after five years of exile imposed by village elders and authorities for leaving the ‘traditionalist’ church (which blends aspects of indigenous paganism and popular Catholicism), has come at a cost. Several of the children were born in exile, while, for the older ones, five years in new schools in the nearest major city, Comitán, gave them sufficient time to begin to feel settled. Some of them will continue to go to school there, 30km from home, for the remainder of the school year, before their parents decide whether to re-enrol them at the village school, which, unlike the city school, conducts lessons in the local language, Tojolabal, and not Spanish. For the adults, there is a mandatory annual fee (580 pesos, around $40, per family) to worry about – their contribution to the village’s traditional festivals, which was a condition of their return. But for the former exiles, it all seems like little price to pay just to be home again. Hernández added that they are currently awaiting help from the government to repair homes that were vandalised while they were away. Meanwhile, they have been reconnected to the community’s water, electricity and medical services, which they had been prevented from using in the run-up to their eviction from the village. Fidel López Hernández, 26, with his wife Rosa, 23, sons Damian de Jesús (four) and Isaac (two), and four-month-old daughter Sandra. 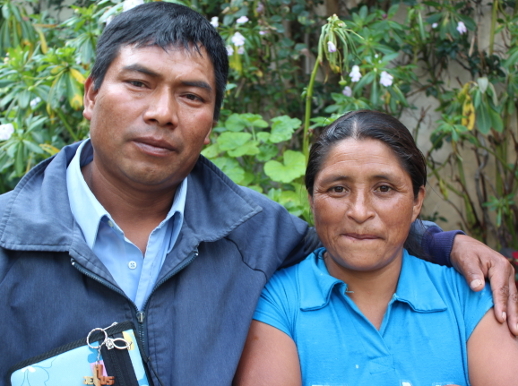 Last year, World Watch Monitor reported the story of a couple, Fidencio Jiménez and Petrona Díaz, from Santa Rosalía in Chiapas. They too were sent into exile after leaving the traditionalist church; they too resettled in Comitán, where their son was enrolled in a new school; they too, eventually, were permitted to return home. Mexico’s government claims it has no problem in ensuring freedom of religion for its citizens. Indeed, the very first article of Mexico’s constitution forbids discrimination on religious grounds. But in 2015 Mexico re-joined Open Doors International’s World Watch List, which ranks the 50 countries in which it is most difficult to live freely as a practising Christian. After a three-year absence from the list, Mexico is now ranked at No. 38. Organised corruption: Underperforming governments, lack of rule of law, endemic corruption and criminal organizations operating with impunity. Tribal antagonism: Traditional religions, a mix of indigenous paganism and popular Catholicism, are reviving, especially in isolated areas. Indigenous converts to evangelical Christianity face all sorts of harassment, exclusion from basic social services, torture and even expulsion. In Mexico, where the vast majority identifies as Christian, it seems it is OK to be a Christian – just not every type of Christian. Christians and churches that are actively involved in society, or speak out, become targets for criminal organisations or tribal leaders. Learn more: What are the ‘Engines of persecution’? The state of Chiapas has earned itself a particularly bad reputation in Mexico for pressurising those who leave the ‘traditionalist’ church, but it isn’t alone. In Hidalgo State, just north of the capital, Mexico City, two Protestants have taken a village official to court over claims they were evicted because they refused to deny their beliefs. Casto Hernández Hernández and his cousin, Juan Placido Hernández, were taken into custody in Chichiltépec on 12 March and claim they were ordered to recant their faith. When they refused, they say the village delegate, Jesús Domínguez Hernández, ordered them to leave. Domínguez Hernández admitted some culpability but claimed that he acted in ignorance of the law, reported CSW. Jorge Galindo, from Mexican religious freedom advocacy group Impulso 18, told CSW he hoped the case would signal the beginning of a “new era in Mexico, in which the law is applied correctly and religious freedom for all … is upheld”. But an Open Doors representative in Mexico, who did not wish to be named, told World Watch Monitor “the authorities have shown no interest in the case” and are yet to allow the cousins, who have received death threats and are facing intense pressure to drop the charges, to return home. However, the representative agreed that, if successful, the case could be very significant. “[In previous cases] legal representatives had agreements with the government or had other interests, which prevented Christians from filing a complaint, so aggressors were never punished for what they did. “We hope it will have a big impact and make others complete the process of filing a complaint and requesting that authorities take appropriate action. The case stalled in the lead up to Mexico’s elections on 7 June, which, the Guardian reported, came “amid widespread discontent with [the] country’s politicians”. The Open Doors representative said it may now be some time before the cousins’ case becomes a priority for Mexican authorities. For now, they cousins remain in exile in the town of Huejutla de Reyes, 50km from home. Meanwhile, the Open Doors representative said that the man who led the cousins to evangelical Christianity has received death threats, while 15 other families who left the ‘traditionalist’ church have been forced to deny it in writing or also be thrown out of the village. 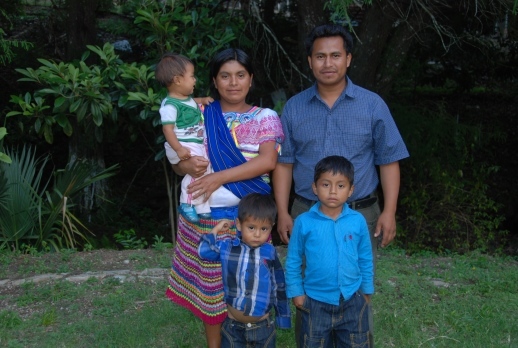 Back in Chiapas, in the village of Cuauhtémoc Cárdenas, near the Mayan ruins of Palenque, four more evangelical Christian families – 17 people† in all – are fighting village elders and officials for their right to remain. The families’ problems began in 2012, when they left the ‘traditionalist’ church and sought permission to build their own church. The Open Doors Representative said they were swiftly labelled “bad people … who do not pay the community fees”, and have since suffered threats and false accusations. Now the families say they have all the paperwork they need to start legal proceedings to ensure they are given right to remain.